Published Bestsellers: "...One man’s journey through the turbulent, unpredictable and ruthless business world of the ‘Thatcher Revolution’." "...One man’s journey through the turbulent, unpredictable and ruthless business world of the ‘Thatcher Revolution’." 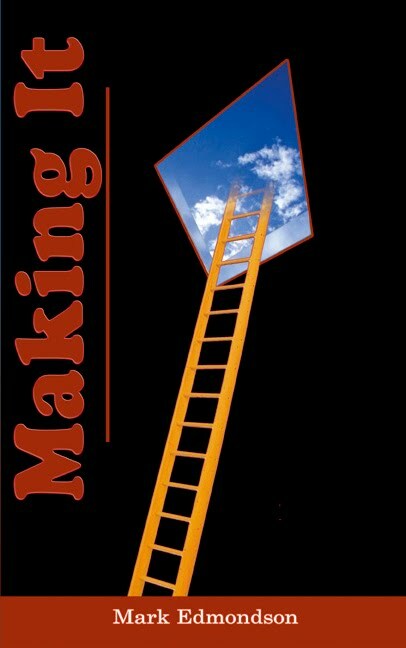 From its opening setting of the innocence of university life to the closing satisfaction of cold, hard business dealing, ‘Making It’ takes you on one man’s journey through the turbulent, unpredictable and ruthless business world of the ‘Thatcher Revolution’. Laurie Walker’s trauma of almost failing his degree, and a subsequently volatile encounter with the gay scene in Barcelona, sets the scene for his education beyond anything that academia could have taught him. This is a journey through the social and economic upheaval of the 1980s and 1990s in a cutthroat business world where sharks lurk at every corner waiting for the unwary novice. Mark Edmondson’s portrayals of Chas Wray as the tycoon bully-boy and Laurie Walker as his unwitting victim are sharp, entrancing, and financially brutal. The dual plotlines, converging inexorably, are a hark-back to the days when deregulation was the byword of the Tory government of the time. This, however, is no textbook, despite Mr Edmondson clearly researched business terminology and logic. Set in the same tone as Eliyahu Goldratt’s ‘The Goal’, the novel pulls at the emotions as you travel, along with Laurie, down his road to business, financial, and personal destiny. Being an accountant, the book ‘spoke’ to me in terms with which I have been familiar for over thirty years, and yet its language is set very much in layman’s terms. Short, punchy chapters will have you racing to the end as the plot quickens with each page. A review by Neal James, author of several crime detective novels.